Environmental concerns are increasingly top of mind for every business, despite Donald Trump’s denial of global warming. Leading businesses confirmed their commitment to the cause at Davos a couple of weeks ago when they launched FReSH, the Food Reform for Sustainability and Health program, under the leadership of the World Business Council for Sustainable Development (WBCSD) and the EAT Foundation (EAT). And the fashion industry is no different. As the models sashay down the last of the catwalks at the men’s autumn/winter shows, Kering, owners of brands including Gucci, Saint Laurent and Bottega Veneta, and one of the biggest luxury groups, has chosen to launch its new sustainability goals. They are at the forefront of challenging the fashion sector to think about some of the tough environmental issues including waste and carbon emissions as well as ethics. It might be less glamorous than discussing hemlines and colour palettes but if the fashion world is to continue to flourish then it’s just as important. As Kering CEO Francois-Henri Pinault said: “Real luxury is based on authenticity and sincerity.” This is why I believe the luxury fashion trade should be setting the standard when it comes to environmental issues. If our luxury products are to carry a premium price then it’s only right that the highest levels of attention are given to the process that leads from source to shop. That’s not to underestimate the challenges. As in any sector, a robust approach to meeting environmental standards is a value-add that is often hidden – it doesn’t necessarily shout out its status. Equally consumers demand both lower prices and premium quality, which leads to a debate on how far brands can pass on the costs of environmental adherence to customers. Designers also have conflicting needs as they push for new colours to work with that may require chemicals not on approved lists. Yes, it can be complicated but I agree with Mr Pinault that above all consumers want honesty. They don’t need pages and pages of forms but they want to be reassured on some basic issues covering the safety of chemicals, ethical employment practices for the people making the clothes and in the case of the fur trade the standards of welfare involved. In effect it’s about Kerring and others like them showing that they are doing the hard work on behalf of the consumer, acting as gatekeepers for all the information that does need to be scrutinised if a brand is to be trusted. Do consumers want to know which rural community the trapper lives in? Or how many hours the furrier spent crafting the garment. Do they want to know how much chicken waste the mink were fed or which chemicals were used to dye the jacket? My guess is probably not – it’s simply too much detail. As CEO of the international fur trade I am of course proud of the sustainability standards that my industry has achieved. Fur is a natural product and although we have our critics it’s hard to attack the authenticity and bio-degradable nature of fur. 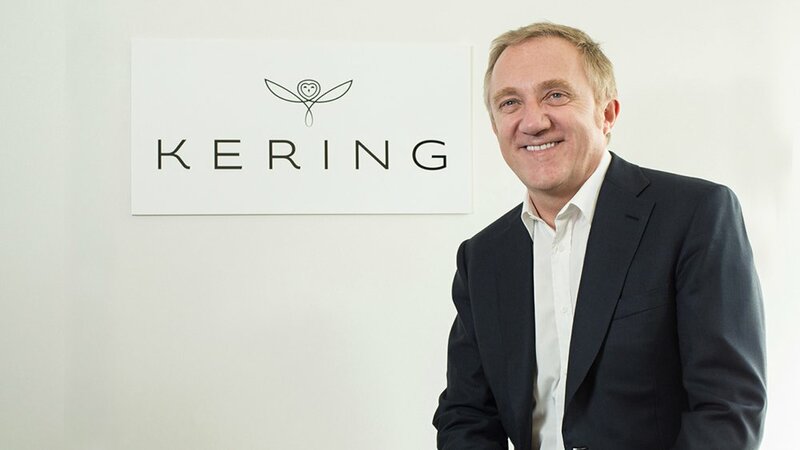 But like Kering we face challenges in demonstrating to consumers how are we are reducing our impact on the environment throughout our complex supply chain, from farm or forest to shop. So that’s why Kering and others are right to embark on a journey of environmental transparency, presenting policies in a consumer-friendly fashion so that shoppers know that when they choose Gucci or another Kering-group brand they are making a responsible choice. 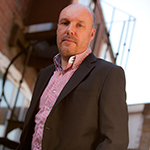 Mark Oaten is the Chief Executive Officer of the International Fur Federation, a published author, and blogger for the Huffington Post. Image of Kering CEO Francois-Henri Pinault from Pursuitist.